Tonight Juventus plays the game that the Juventus fans feel. In bars, squares, on blogs, there is great desire to play this game. In preparation, there is great tension and expectation. There is awareness among the fans that they could play, especially seeing the statistics of this Juventus that apart from the points in the standings say much. Juventus has an average of goals per game higher than prescriti: 1.6 versus 1.3. The angles and even offensive dangerous smile to Juventus with 53 corners against 40. The shots are very similar: Juventus makes about 15 shots per game against 14 including 6 in the mirror for the Bianconeri and just under 5 for the others. On ball possession, three minutes of difference, with 28 for Juventus and 25 for thehonestones. In this classification Juventus is the second after AC Milan, the first with 30 minutes. The most reassuring is about the offensive dangers that is the highest of the Serie A, 60% against 49% of prescriti. The data therefore, would say a Juventus better, and an m***a beyond the bottom excluding the episodes that someone tries to pull out. But numbers do not tell everything, and without strength, cynicism and heart, it will be hard to beat them. 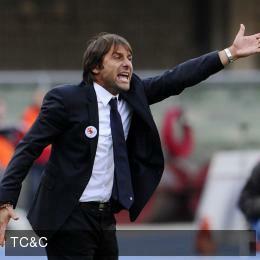 Conte will be able to prepare their well and we believe that tonight we will see a good Juventus. m***a is favored as organic, but Juventus is objectively better. It will take all the strength, but with the heart, the win is possible.